Knorr Blimey... That's Tasty! | Then there were three..
Everyone who knows me will tell you that I am no Nigella Lawson or Lisa Faulkner; you certainly won't catch me whipping up an a la carte menu anytime soon! However, I am not one to shy away from a challenge or two. 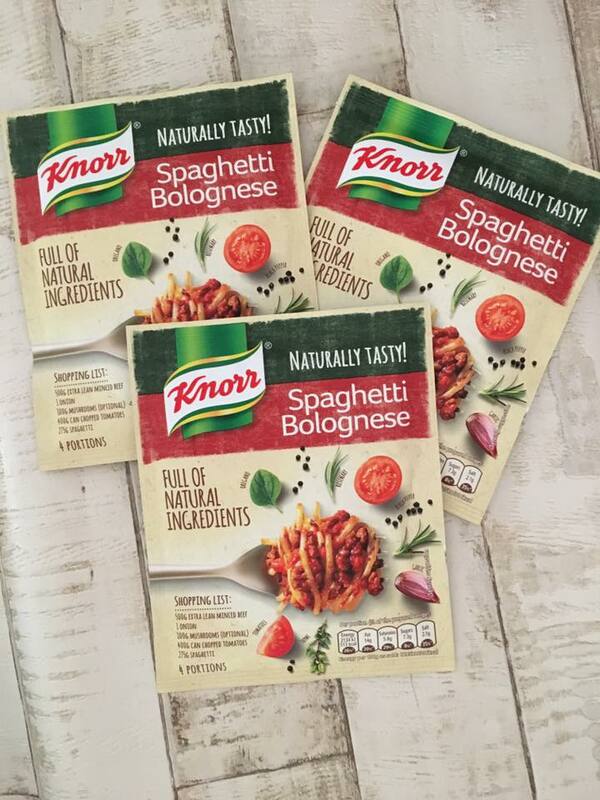 I was recently contacted by a company working with Knorr on their Naturally Tasty range; their new recipe mixes are packed full of natural ingredients which makes it perfect for children and adults of all ages. 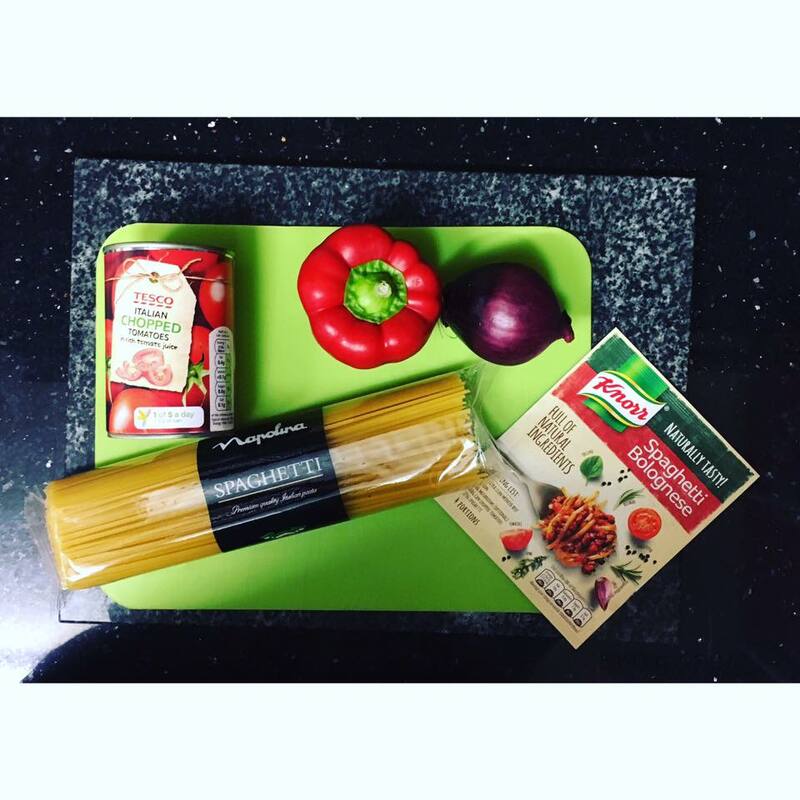 Their recipe mix range consists of six different mixes; from the classic Spaghetti Bolognese to a slightly more exotic Moroccan Chicken. There truly is something to suit everyone's taste buds; even the fussy ones! I was sent their Spaghetti Bolognese mix to test and try out - usually I tend to avoid pre-made mixes as I like to know exactly what I am adding to my food. Turns out I needn't have worried as the ingredients were all natural with no added MSG or any artificial colours, flavours or preservatives. Also, the fact that I didn't have to crush my own garlic cloves was an added bonus! The first thing I noticed when using the recipe mix was how much more organised I was; no more faffing about looking for herbs and seasoning! This also resulted in less mess which my husband was more than impressed with. Another thing that I was surprised about was the amount of mix in the packet. When I first saw the packets I thought I would need to use at least two packets to make my meal. It turns out that I barely needed one - a little certainly went a long way! The preparation side of things was made a lot easier due to not having loads of herbs scattered over the kitchen counter, and the cooking part of it was fairly easy too. All that you needed to do was chop up the vegetables that you wanted to add; that was pretty much the extent of what needed to be done. I can't stand mushrooms so I substituted them for red pepper instead which gave the bolognese an added kick. Once all the vegetables were chopped up, I cooked the mince and then added them to cook. Once they had softened I added the chopped tomatoes and the recipe mix. Within 5 minutes of this, the spaghetti bolognese was ready to serve; I had three hungry guests patiently waiting! 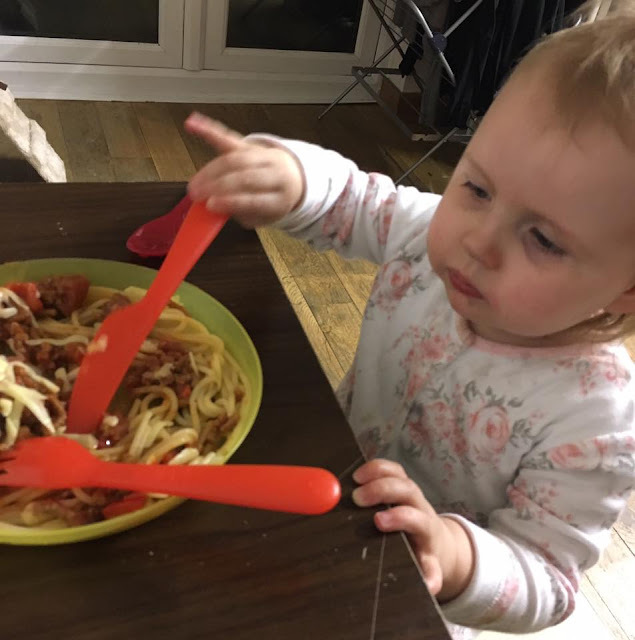 Safe to say, it went down a treat; especially with my daughter - she loves anything to do with pasta! 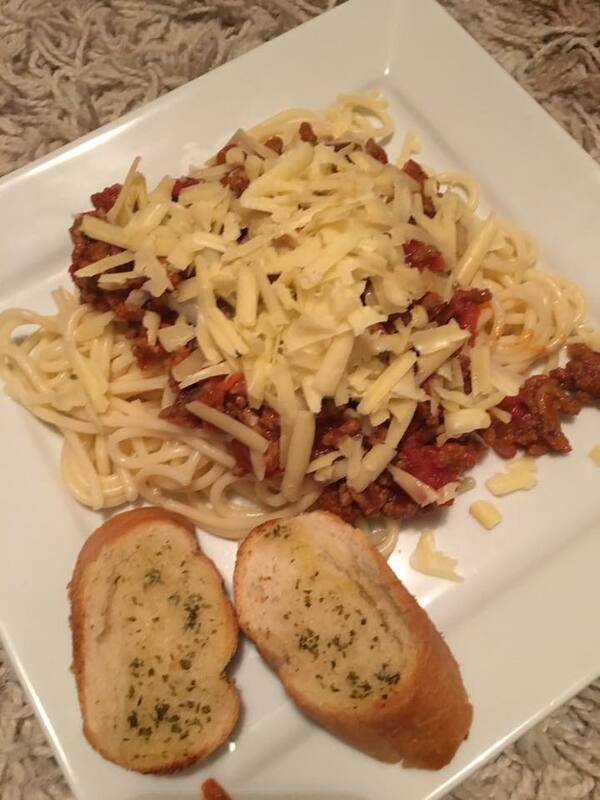 What is spaghetti bolognese without garlic bread and cheese?! 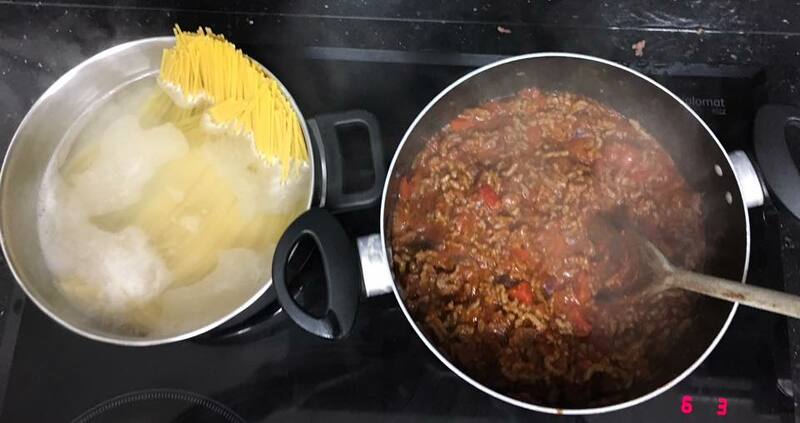 Now, I understand that not everyone is a fan of spaghetti bolognese, so I decided to experiment a little bit with the recipe mix. It turns out that it is fantastic to use for home made cottage pie too! As per usual, like with most foods, my daughter loved it and left a clean plate at the table. I was also kindly gifted samples of the mix to hand out to family and friends; the feedback I have had so far has been fantastic. I will definitely be heading to my local supermarket to stock up on the other mixes from the range; I just need to decide which one I want to try out first! If any of you have tried this mix or any others from the range then I would love to hear your thoughts on them! 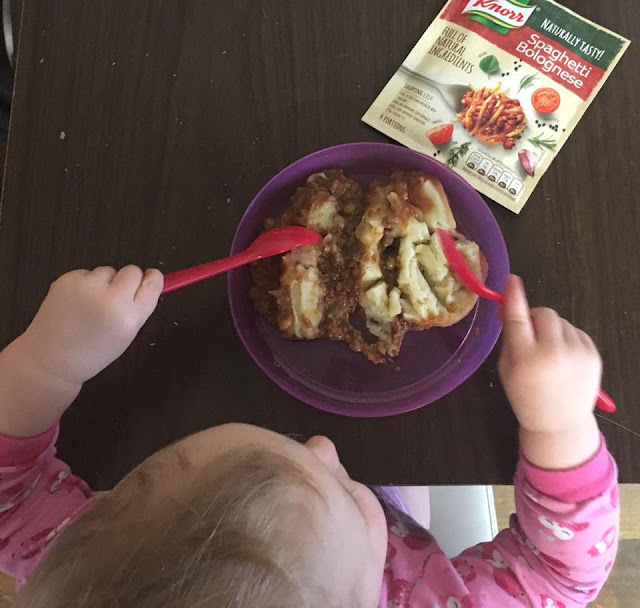 Disclaimer: I was sent the Knorr Naturally Tasty recipe mixes in exchange for an honest review and gaining feedback from friends and family. All opinions and images are my own. These sound brilliant - anything to speed up midweek meals is a bonus in my book! We may need to take a look as mid-week I don't always get time to make everything from scratch....thanks for sharing! !